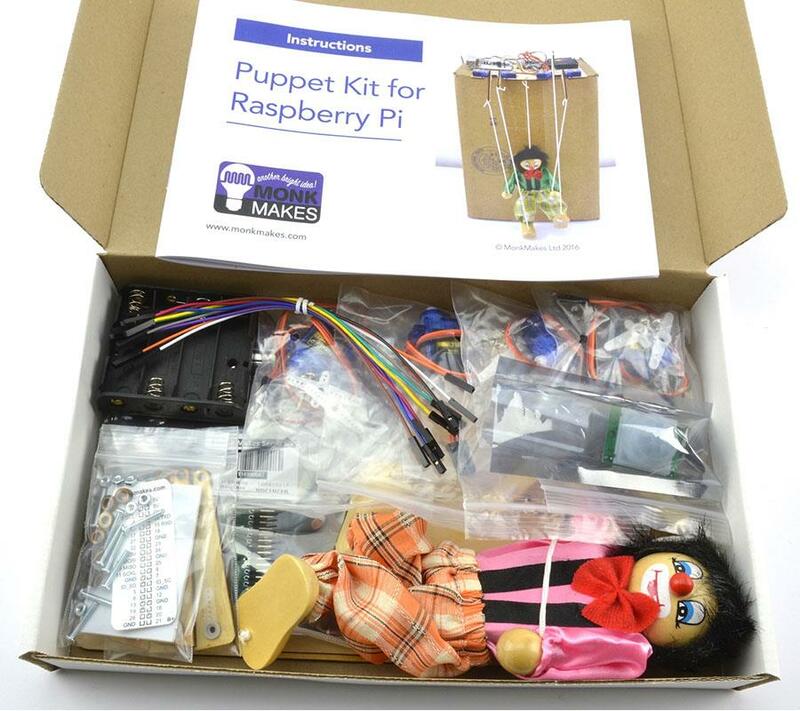 Monk Makes Puppet Kit for the Raspberry Pi includes everything you need to make a puppet with a Raspberry Pi using a Monk Makes ServoSIX board. 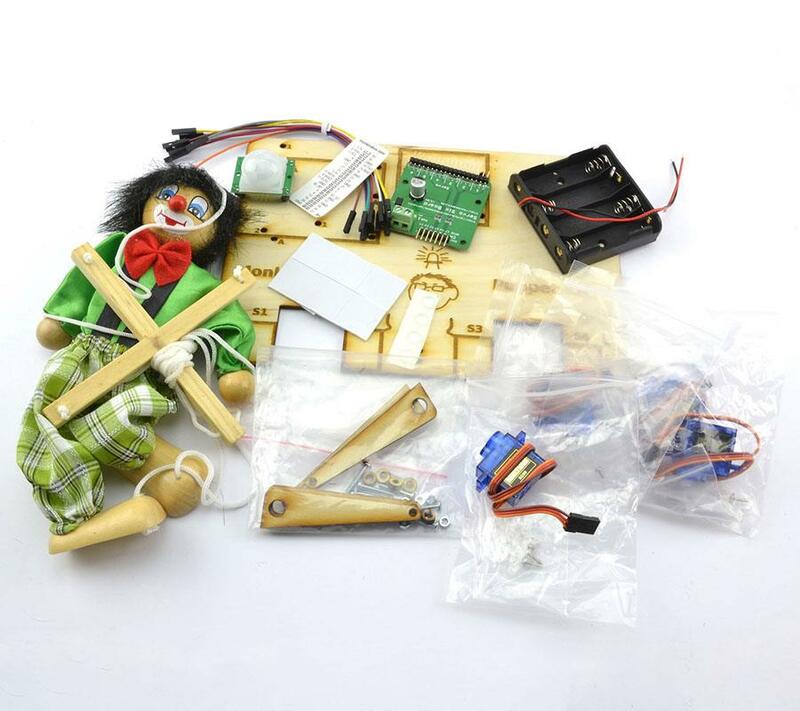 This kit includes everything you need to make a puppet with a Raspberry Pi using a Monk Makes ServoSIX board. Note: The Monk Makes Puppet Kit for the Raspberry Pi does NOT include a Raspberry Pi. The Raspberry Pi board will need to be purchased separately.